Once upon a time, my beloved best friend from my grad school days asked if I would fly to Salt Lake to photograph her wedding. I'm pretty sure you already know my answer. It's -20F as I write this at home in Fairbanks, and it it's the perfect morning to relive the sunny elation that was this celebration. It couldn't have been more perfect: planned from the heart, its quirky blend of glam and come-as-you-are couldn't have encapsulated Megan and Erik better. I love Megan's vintage-themed couture and the fact that the wedding was held on a concrete pad (accessibility was important for elderly relatives) at a campsite in the mountains an hour away from their home. It's been almost exactly two years since this day, but you know what? It's never a bad day to relive the celebration of love. This is a love story, and it's one that spans decades. 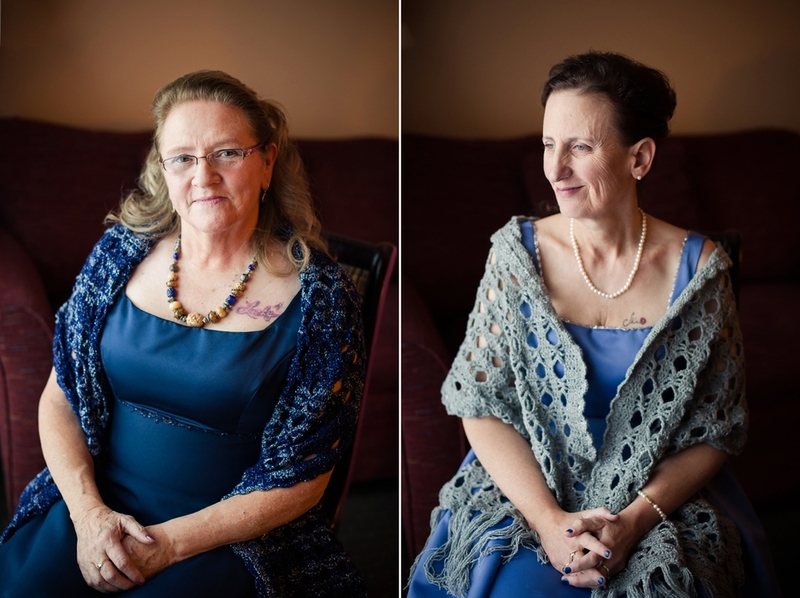 Jane and Kathy were getting married after spending more than twenty years together, and they asked me to photograph their wedding. They explained that yes, they were thrilled to be able to be legally married. It meant a lot. More than could be said. But the wedding itself? The wedding, they said, was a party. A PARTY for all their friends and family, as a thank-you for supporting and loving them through all those years. During those two+ decades it *wasn't* possible to be legally married. To be completely honest, throughout the day of the wedding, there weren't many moments in which this was forefront on my mind. The sweet love story and the sweet jitters of two sweethearts about to tie the knot were the dominant narrative. 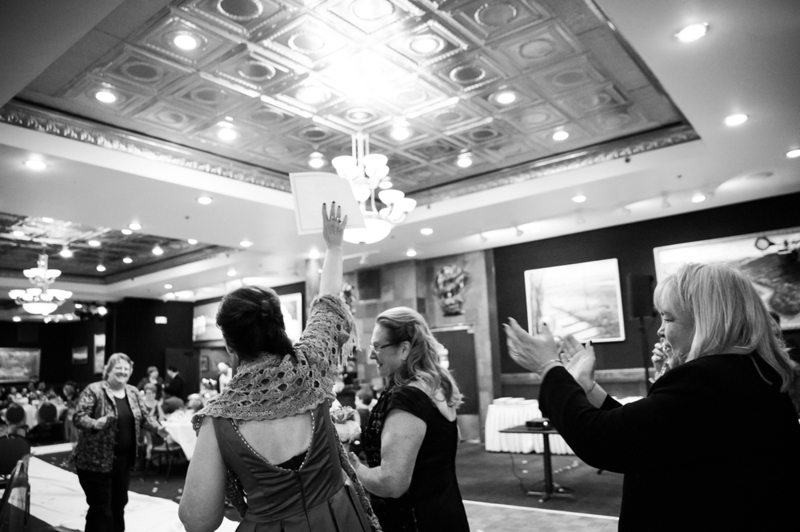 It was their wedding day, and politics generously stayed out of it, apart from the absolutely, wonderfully victorious cheer that broke out when the officiant held the signed marriage license high above her head and roared. But there was a moment when it really hit me. After the ceremony, the brides had their first dance. Then as the music transitioned to the next song, they were slowly joined by couples, one by one, on the dance floor. All couples who, like them, had had to wait decades for this day. They slowly and silently glided in each others' embrace, and with goosebumps and tears in my eyes, I took a picture. Such a celebration of love. I rarely have the opportunity to shoot weddings...but when I get to, I always enjoy it so much. Jon and Chloe are both originally from Fairbanks but currently live in Seattle. They decided to come home to tie the knot - which they did, surrounded by their families and the ones they love best, on the day after Christmas. It’s only very rarely that I shoot a wedding (most of the time, I can’t, because I’m on call for births!). But Christina happened to call me right during the period of time when my “assistant” (read: my baby daughter) was old enough to be left with daddy for a few hours, but wasn’t really old enough yet to be left for indeterminate hours on end while mama attends births. And so it was that I was able to photograph the tremendously special, tender, and beautiful elopement ceremony of Christina and Leroy. Leroy is originally from the east coast and is here in Fairbanks with the military, and Christina came here from California to join him. As Leroy said moments before their marriage, they just couldn’t bear to be apart any longer. They have a “cross country tour” planned later in the year so they can celebrate their union with family on both coasts, but in the meantime, they wanted start their lives as two. They were married in a short and sweet ceremony at the University of Alaska Museum of the North by one of Leroy’s fellow soldiers, and were witnessed by another soldier and his wife. 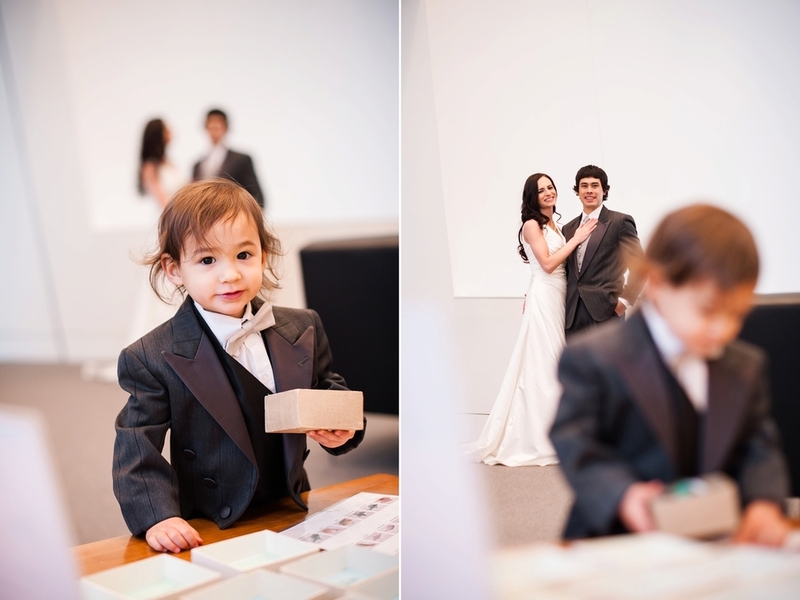 Both before and after the ceremony, we roamed the museum taking couples portraits. (Which was a real treat, because look at these two – ridiculously good looking, both of them.) Christina and Leroy were eager to document the day as it was, complete with the quirks and nuances of having a wedding ceremony, however small, on a weekend in a busy museum, which happened to be having – surprise – a dance and drumming demonstration in the atrium. Several times, they joked what a fabulous memory getting married in Alaska within a few hundred feet of a ginormous (taxidermied) grizzly would be. I love the love that shines through these photographs. I hope you do, too.